Hello Kansas City! Today’s post marks the beginning of a new series on Kansas City jazz. We have such a rich music history right here in our community, and I really wanted to dig deeper. I’m glad you’re along for the ride. This is one of the places where the genre thrived early on, and where a distinct flavor of jazz developed before spreading across the country. Jazz music actually got its start in New Orleans at the turn of the 20th century. This port city was a place where people from many different cultural backgrounds came together, and the confluence of cultures provided fertile ground for a new musical style to develop. By the 1920s, jazz was beginning to spread, and it was perhaps inevitable that traveling musicians would pass through Kansas City. 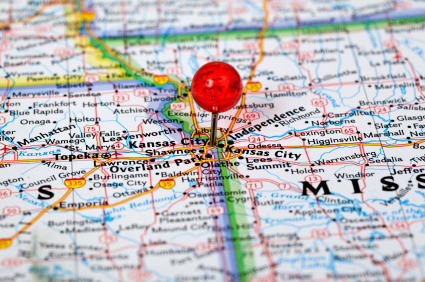 At the time, Kansas City was an important stopping point for anyone traveling across the country – whether they were going south to north or east to west. As in New Orleans, the coming together of so many diverse cultural threads in one place inspired creativity and growth and musical exploration. What’s more, Kansas City was a wild place in those days. Political boss Tom Pendergast was at the height of his powers in the 1920s and 1930s, and the climate was such that liquor laws were ignored and nightclubs stayed open through the early morning hours and beyond. (This during Prohibition!) Kansas City was the place to be, and many traveling musicians passing through Kansas City just ended up staying. I’ve heard stories from clients who remember those wild days of the Pendergast era. One man told me he would go down to the 18th and Vine district as a teenager, and he and his buddy would have no trouble getting into clubs and staying out all night. What about Chicago and New York? Jazz music was flourishing in Chicago, too. At the time, though, the musicians’ union in Chicago was very strong, and it wasn’t easy for those out-of-town folks to come to Chicago and stay. Kansas City was a natural stop on the road to Chicago, and it was welcoming enough for people to hang around. (Good for us!) As for New York, well, it was just a lot further to that big city for musicians coming out of New Orleans, and if your money could get you to Kansas City and you could be happy there, why continue on to New York? Of course, many Kansas City musicians did work their way to Chicago and New York eventually, ultimately spreading the Kansas City style. What does this have to do with music therapy and music for self-care? First, music is an important way to connect groups of people. All of living in Kansas City, even if we weren’t born here, share this musical legacy. I’m excited about this look into Kansas City jazz history as a KCMO transplant myself. Second, there are plenty of people in this area who grew up in the Kansas City jazz scene. I hope that we’ll all get to hear some stories. Third, jazz is a genre that offers a lot of promise in musical exploration, whether that’s in a music therapy session or during your own music-making time. The idea of improvisation alone opens up worlds of possibility. What have been your experiences with the Kansas City jazz scene? What would you like to see covered in this series? Please leave your comments below. This post makes me very, very happy! What a great idea! I’d like to specifically know more about African Americans and the KC Jazz connection. We’ll be looking at Black History next month. This would be a great part of that! Thanks!